Traditionally aristocracy is not something one can just ascend to. You have to be born into the right family and spend most of your life refining your tendencies toward having only the most elite of tastes. But who wants to spend a lifetime being proper, having tea time, and attending boring dinners? Being an aristocrat doesn’t seem like all it’s cracked up to be. Sure, you have lots of money, free time, and servants, but I think all of that would get quite dull after a while. I’d rather be able to have fun and dance the night away any way I wish than to have to dance a waltz with the next lady on my dance card. You don’t have to spend all of your life sipping tea with your pinky up and wearing powdered wigs to be an aristocrat. Now you can just outfit yourself in style and blend in with your new high class friends seamlessly. As long as you brush up your vocabulary a little bit you'll be just fine! 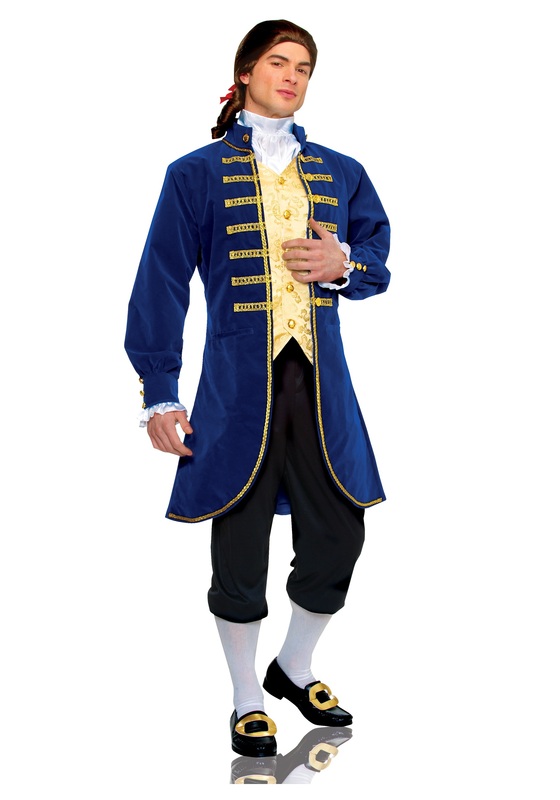 This men’s aristocrat costume comes with everything you need to be the polished member of society you always wished you could be. 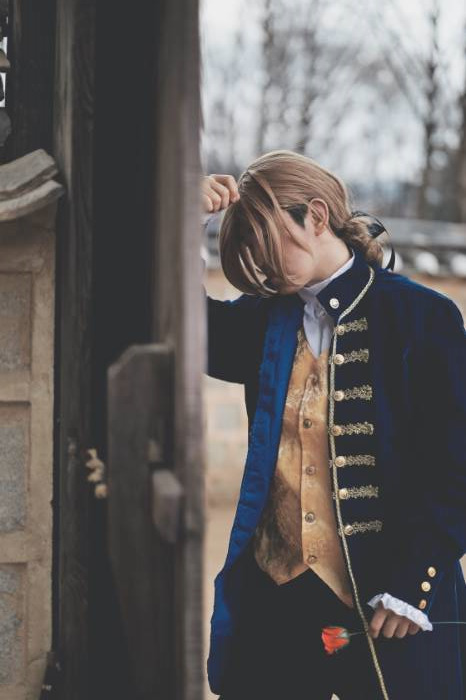 The blue velvet frock coat has gold braid trim, gold buttons, and white ruffles at the sleeve cuffs – I mean, what else would you expect from an aristocrat? The black pants have elastic at the waist and cuffs for a comfortable fit and the white satin cravat secures at back with Velcro. It’s the ultimate way to live it up this Halloween or for your next theme party or play! very good. 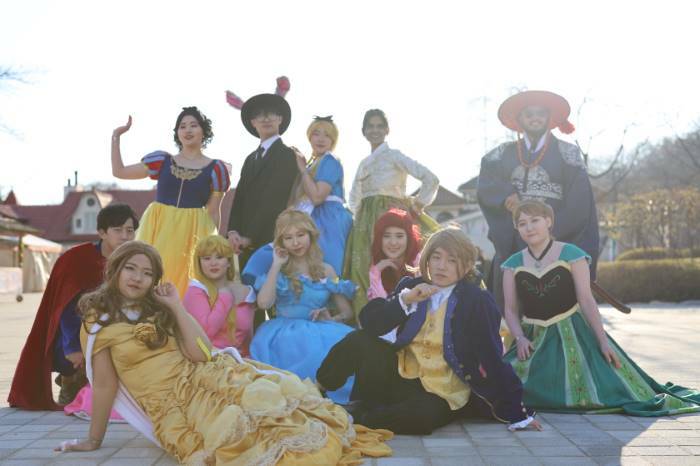 im korean cosplayer. Cons: Few things that really bugged about this costume are the sleeves were 4-5 inches to long they covered my hands completely. And the buttons kept coming off I had to sow on all the buttons. 4 came off the chest and 1 off the cuffs and the rest I added stitching to reinforce them. Pros: it does look a lot better in person! It's actually pretty soft. Some nice touches that can't be seen in photo like the gold vest part has a design to it. As with most halloween costumes, they only fit 10% of the population. To get a decent length, I felt like I was swimming in the costume. The quality was middle of the road but it lasted the one time I wore it. not sure how many times I'll get to wear it before it breaks.